Ms. Tran graduated from the University of California at Davis, California in 1997 with a B.S. in Psychology, and received her law degree from DePaul University College of Law, Chicago, Illinois in 2001. Ms. Tran worked for the firm of Groom & Cave, LLP during both her summers home from law school as a summer intern and joined the firm as an associate upon graduation from law school in 2001. 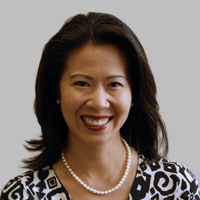 Ms. Tran has focused her practice on transaction work in the areas of tax and business planning for individuals. In addition, Ms. Tran is involved on matters in connection with the purchase, sale, leasing, financing, tax structure, ownership, and management of aircraft.